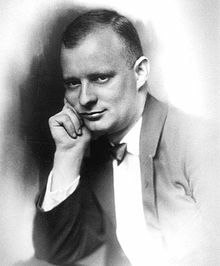 Paul Hindemith (pronounce: POWL HIN-de-mit), (16 November 1895 in Hanau - 28 December 1963 in Frankfurt am Main) was a German composer, violist, teacher, music theorist and conductor. He was the most important and influential German composer during the years between the two World Wars. His style was at first influenced by Schoenberg and Expressionism, but gradually it became more neo-classical, and he turned against Schoenberg's whole approach. He was also famous as a viola player and composed a concerto for viola and orchestra. This page was last changed on 21 July 2017, at 09:22.